TOPDRIFT ROUND 1! MARCH 19-20 2016 BALCONY CIRCUIT! HERE WE GO! THE 2016 SEASON OF DRIFT IS ON! 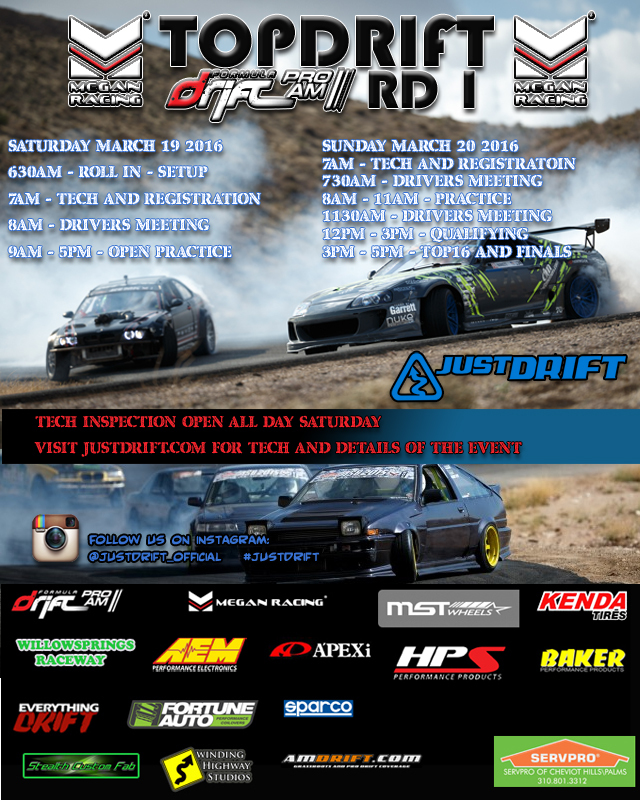 JUSTDRIFT | admin February 9, 2016 | Comments Off on TOPDRIFT ROUND 1! MARCH 19-20 2016 BALCONY CIRCUIT!